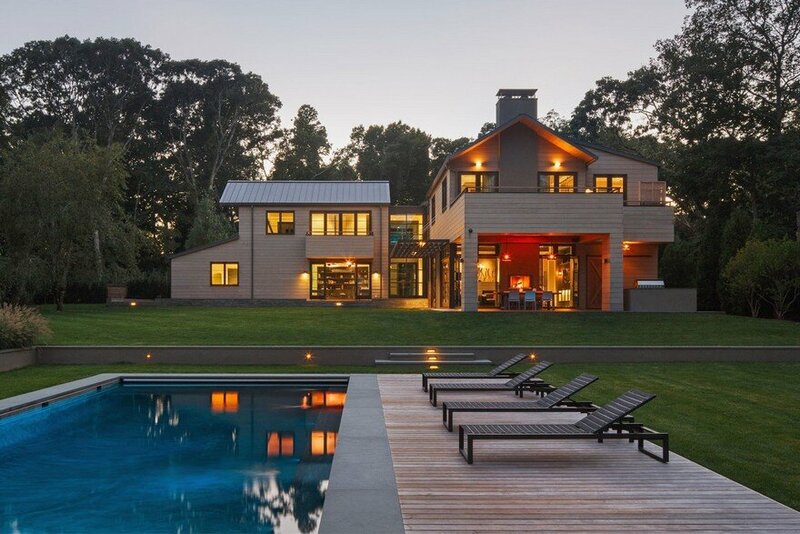 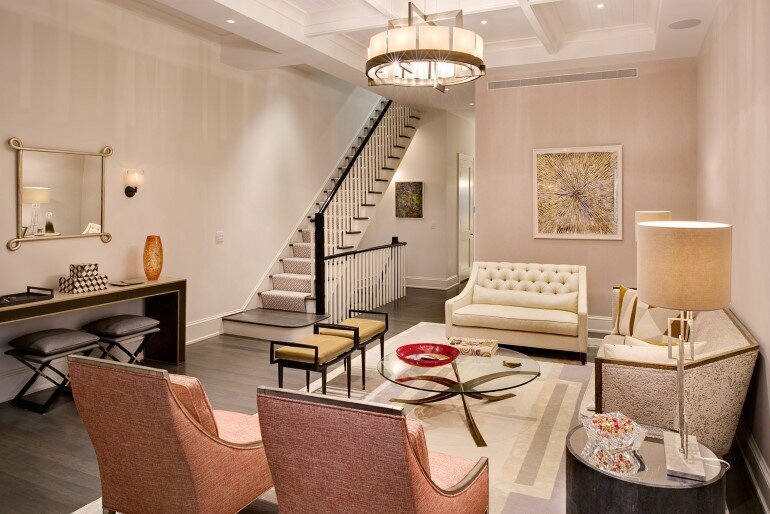 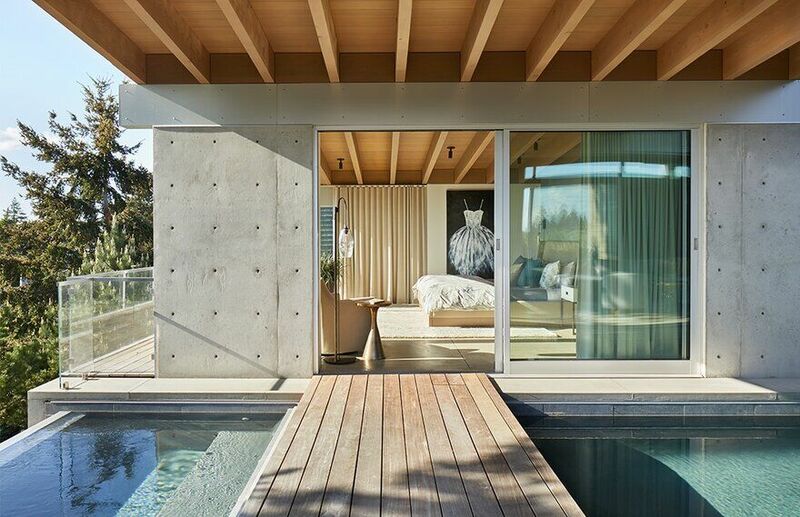 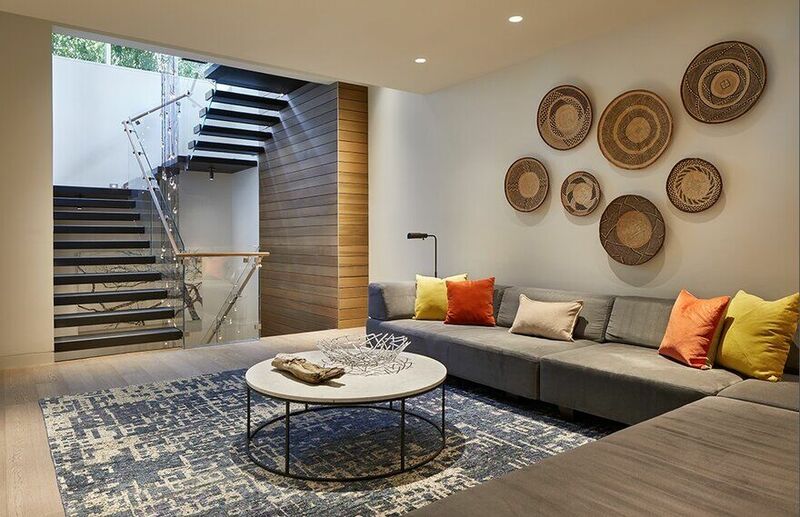 A new premier residence by Garret Cord Werner Architects & Interior designers is one with nature. 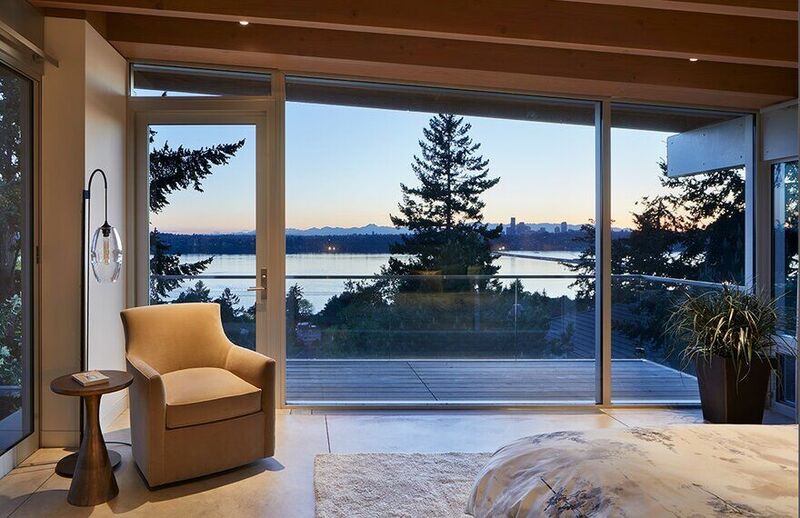 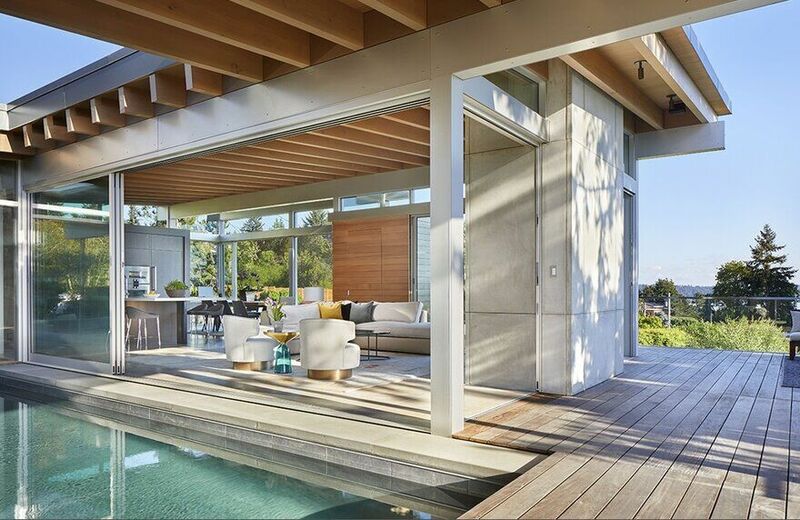 This unique 4,200 square foot Mercer Island modern retreat embodies tranquility and embraces the exterior environment, including water, sky and nature. 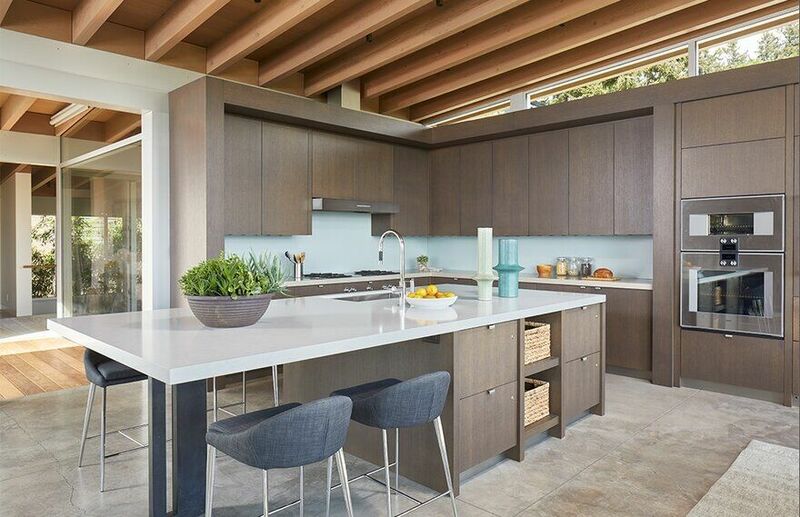 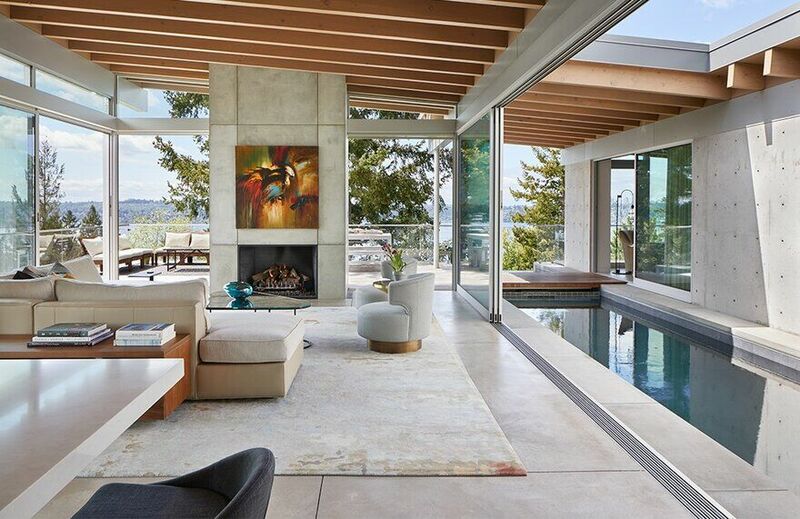 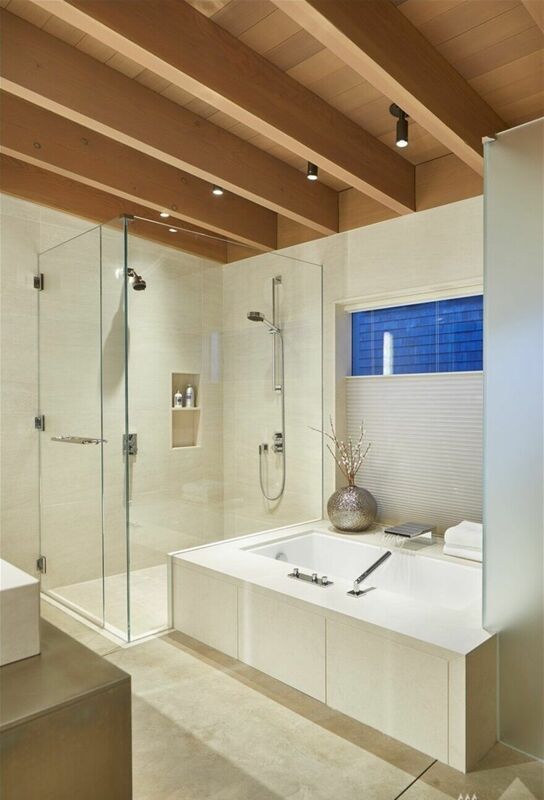 These elements were the focus of this Northwest metropolis retreat on Mercer Island. 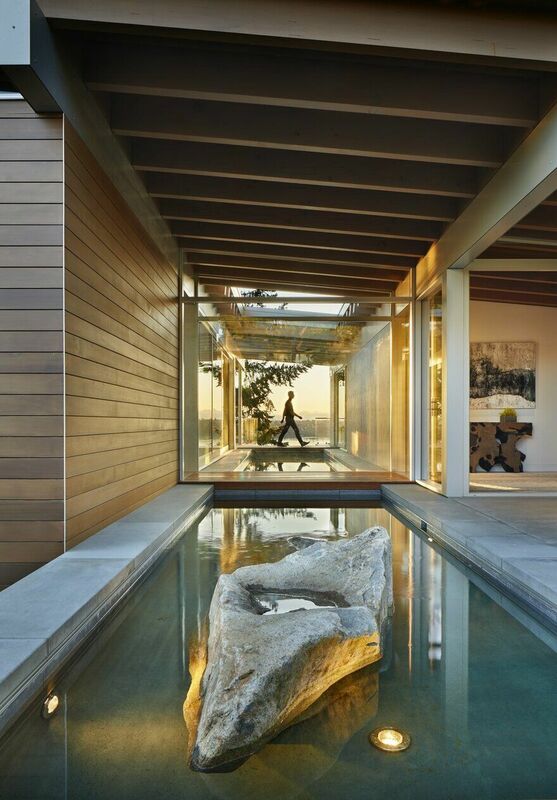 A spine of water is the focal point of the home, dividing public and private spaces with glazed interior bridges that also connect the spaces. 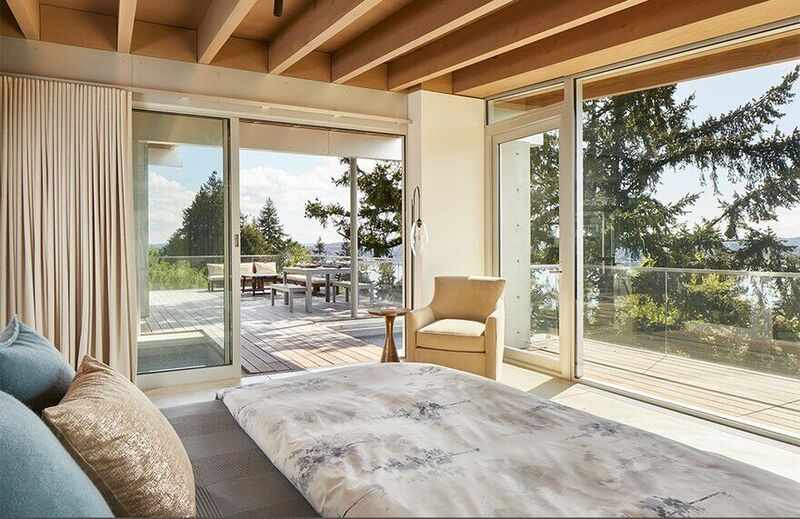 The waterway begins with a reflection pond, then transitions to a lap pool, and finally to an infinity spa overlooking private views of lake Washington. 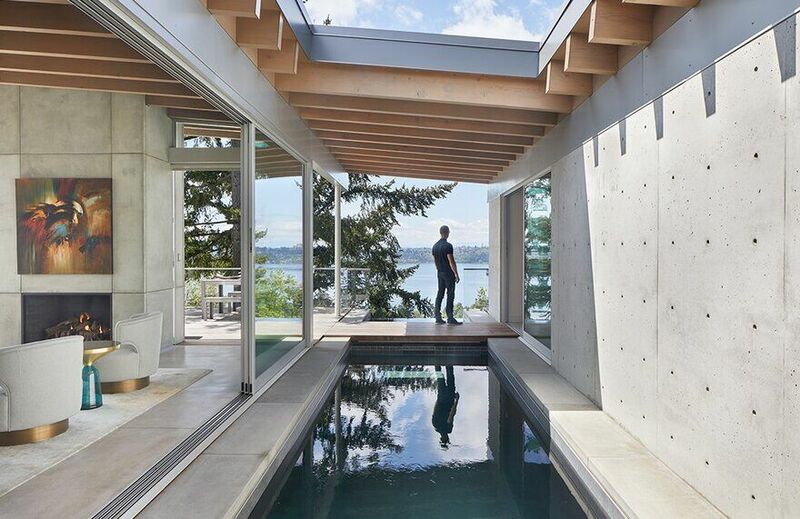 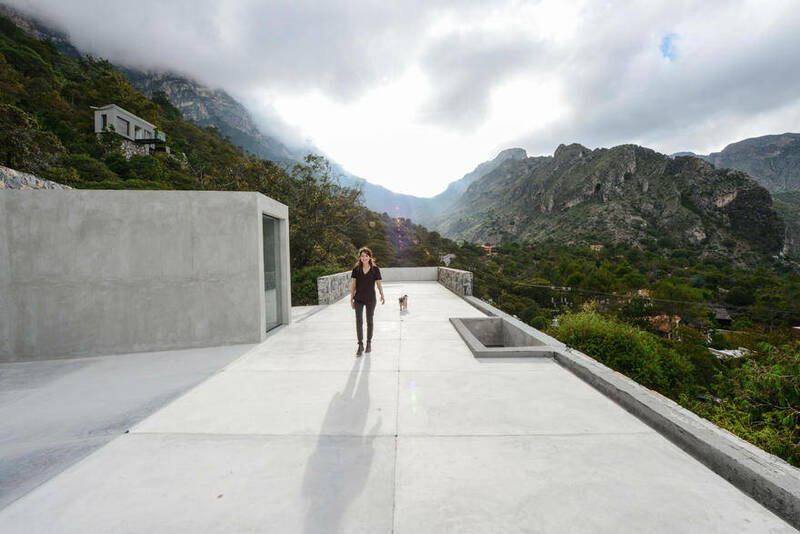 The experience of walking up-to and then literally over water, both inside and outside of the home, creates a dramatic and tranquil feeling that one rarely experiences inside a residential building. 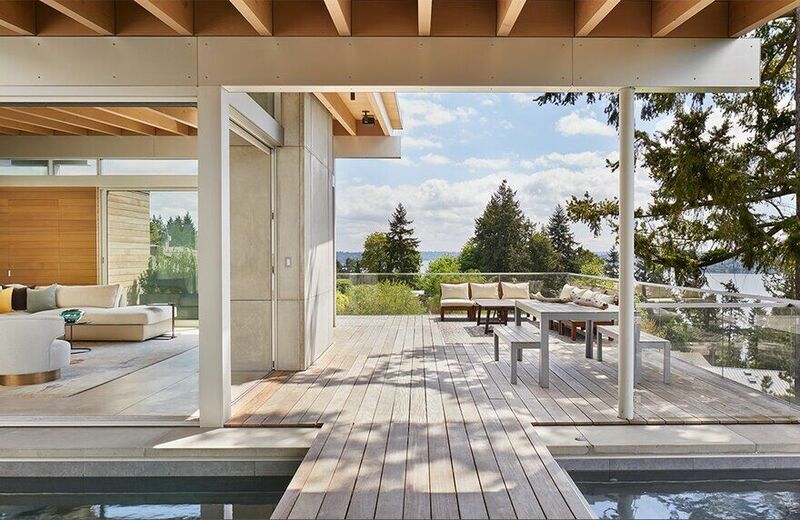 This project is a perfect expression of Garret Cord Werner’s continual blurring of the line between indoor and outdoor spaces. 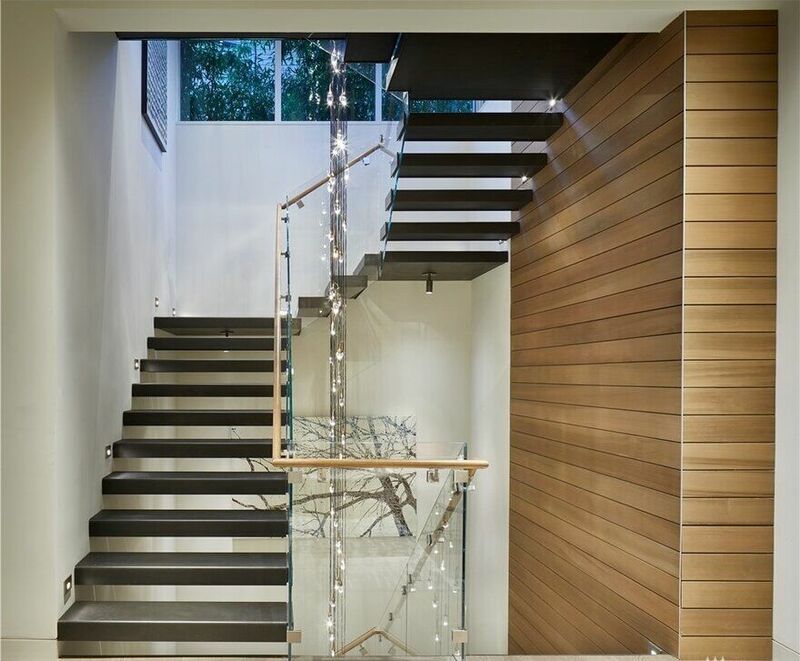 Exposed wood beam construction and highly detailed architecture make this home one of a kind. 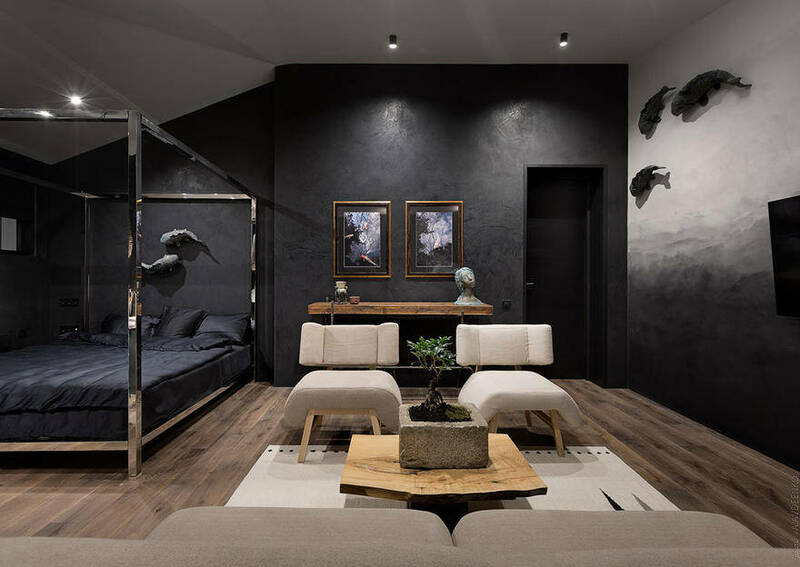 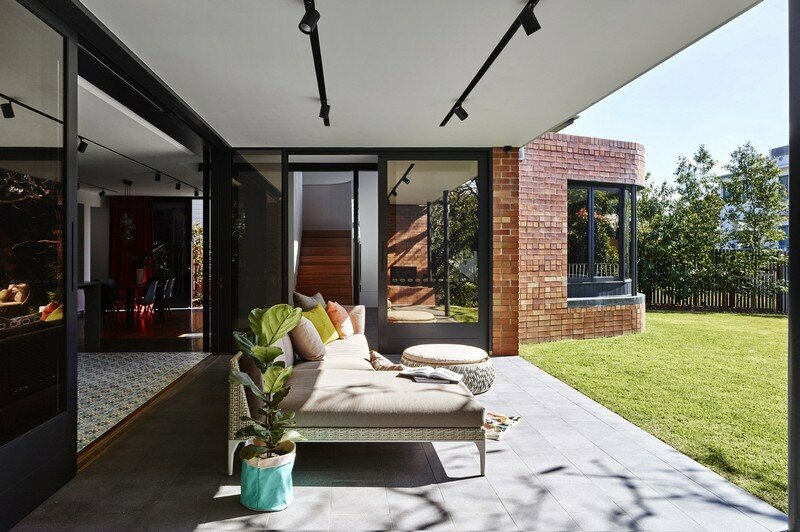 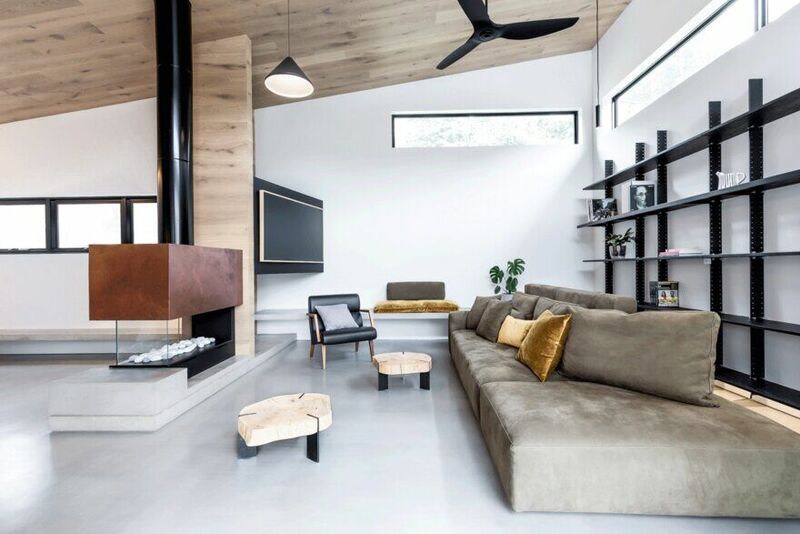 As with all projects by GCW, an inside-out philosophy unites the architecture, interiors and landscape and this is what creates such a tranquil and inviting atmosphere. 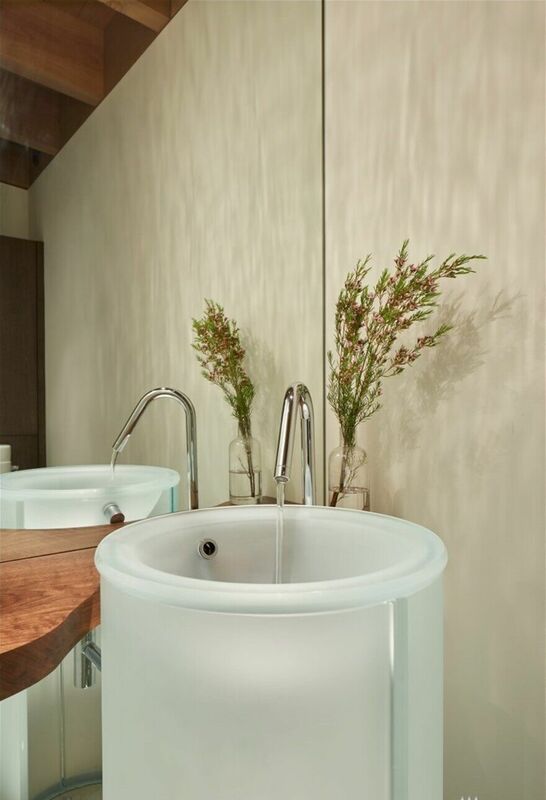 This harmonious setting gives you the sense that you are at a destination resort, but actually only moments away from busy urban life.